They say that there are two most important days in your life – the day you are born and the day you discover why. If you’re on the journey to self discovery, these tips might help you on your mission to finding your talent and purpose in life. You need to identify what you have a passion for, and what things really capture your interest. 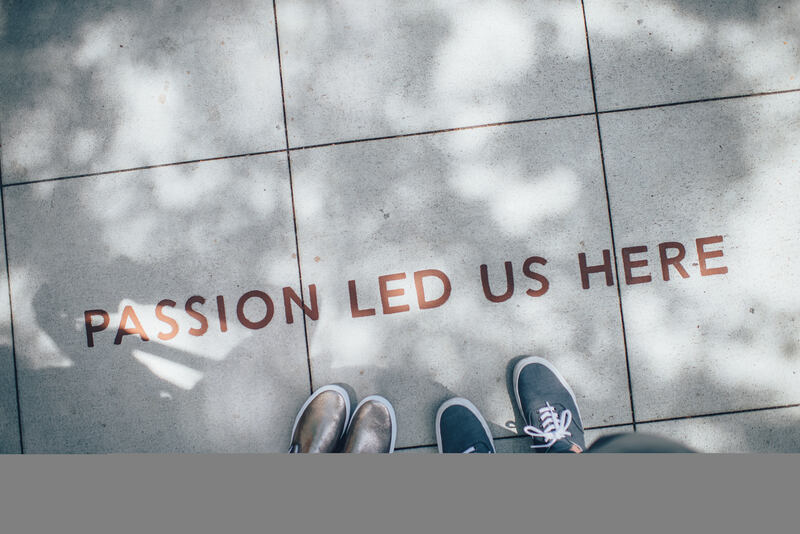 To make a distinction between passion and purpose, it might be worth noting that the things you find yourself drawn to are in most cases, your passion. You might have an inexplicable fondness for sport, cooking, working out, dancing, writing, making things… it could be anything! Here are some personal passions as discussed by others. Purpose, on the other hand defines the reason of your existence. Your purpose might help define your passion better and strongly tie your passion to the bigger picture of your life. Your purpose is usually neither a career area, a job, a talent, nor an expertise. Rather, your purpose is usually the end, and your career, job, talent or expertise could be the means to the end. In essence, your passions are tools to help you accomplish your purpose in life. I have a Ghanaian friend for example, who loves kids and whose purpose in life is to ensure that fewer children in her hometown in Ghana die from preventable diseases. This influenced her decision to train as a paediatric nurse when it came time to select a university course. If you are not sure of what you are doing with your one precious life, if you feel like something is missing from your life, if you are desperate for a deeper connection and genuine happiness in life, if you are the type of person who wants to increase the quality of your life, live your dreams and make a significant difference in the world, this article will be very helpful to you as the points outlined will help guide you in finding and living your passion(s), and ultimately, your purpose. Finding one’s passion is not a thing that happens by mere chance, neither is it for just a special group of people. It requires an exercise in introspection and self-evaluation. Just about anybody can look to discover their greatest interests in life and diligently pursue them. Ask yourself what you love doing, and what really excites you inside. Then start taking steps to do these things more often. By doing the things that you love, you will be better inspired and you will give yourself the opportunity to gain insight into what brings you the most joy. It is understandable that we all have to work to live, pay bills etc, but what do you do in your free time? Could you put a couple of hours each week towards doing things you actually enjoy? A comfort zone is a beautiful “place” where one feels safe and at ease; unfortunately, nothing ever grows there. If you are ever going to pursue a purposeful life, then you have to be prepared to do the most uncomfortable things. A lot of the anxiety that comes from leaving your comfort zone is due to uncomfortable levels of uncertainty. However, together with the feeling of success, some anxiety and self-doubt can lead to personal growth. Also, getting out of your comfort zone more often will increase the number of things you become comfortable with. You will also be able to enjoy more things in life, since familiarity makes us more likely to enjoy something, even if it turned us off at first. In this post, Leah Manderson discusses how she tried her hand at so many different things until she found her passion as a financial coach. It is a general notion that we each have one great thing we are meant to do during our time on earth, which we are meant to figure out and devote our life to. While this may be true for some people, there are those who do not have one true calling. Many of us struggle because we try to find that ONE thing that we are meant to do in life. You can have many interests and creative pursuits, many different things you want to do. It is completely okay to have multiple passions and to pursue all of them. If you have one obsessive lifelong passion, pursue it. If you have many, don’t refute that either. Whether you choose to become a specialist or have a unique skill combination is not the issue. You still need to work hard in both cases to be at the top of your game. It is a natural part of life to face struggles and challenges. Life presents us with obstacles when we set out to accomplish something great, finding and pursuing our passion(s) and purpose are no exception. In some cases, we even impose these limits on ourselves by thinking that we are not adequate enough to pursue our dreams. These obstacles can either stop us on our tracks, or force us to get creative. The choice is really ours. We can choose to live beyond these limits. When you are forced to become creative, your imaginations become tools for breaking through limits. In our minds, we can do anything and we can be anything. It is believing in those dreams and facing our fears head-on that enables us to live our lives beyond limits. Instead of looking at your challenges as negative experiences, you can begin to look at them as gifts that can be used to ignite your imaginations and help you go further than you ever knew you could go. Remember, once you choose hope, anything is possible. Never give up. Keep pushing and believe in yourself. You can do it. Finding and living your passion(s) and purpose will always bring with it a lot of changes and growth. It is easy to get caught up in day to day activities and forget what really matters. It is important to always make space for contemplation and reflection, remembering what matters to you as you grow and change. Within the healthcare environment where pressure is high and attention to detail is crucial, reflection is a taught skill. Research has shown that reflection can significantly improve work performance, as well as personal and emotional well being. If you can borrow a leaf from this and reflect on each day, perhaps write a journal, you will notice a difference. Frequent reflection will help you have clarity on things that are meaningful to your life. It helps keep you on track, so that you are not carried away by the daily grind. When it seems you are deviating from your goals, reflection can help nudge you back on course. It is very important to find ways to maintain perspective in your daily life. Leo Babuta reports in his blog that he enjoys reflecting during exercise (jogging) and this helps give him new ideas for the future. Who know what part of your mind could be unlocked by this simple habit? It is not just important to know what you want to do or how you are going to get it done, it is also important to know why you are taking the said action. When you forget why you are doing something, it becomes very easy to lose your motivation. This is why CEOs, political leaders and people in positions of influence need to communicate the vision with their successors on leaving their positions. If you have a solid reason for engaging in your actions, and strong emotions driving you, it becomes easier to pull through the doubtful moments (they will surely come) and forge ahead. We all want our lives to have meaning, to know why we are here. In other words, we want to find our passion and purpose. Passion is what we want. Purpose is why we want it. Be honest with yourself about why you want something, and be specific about what you want the results to be. Always remember, Passion + Daily Action = Purposeful Life.